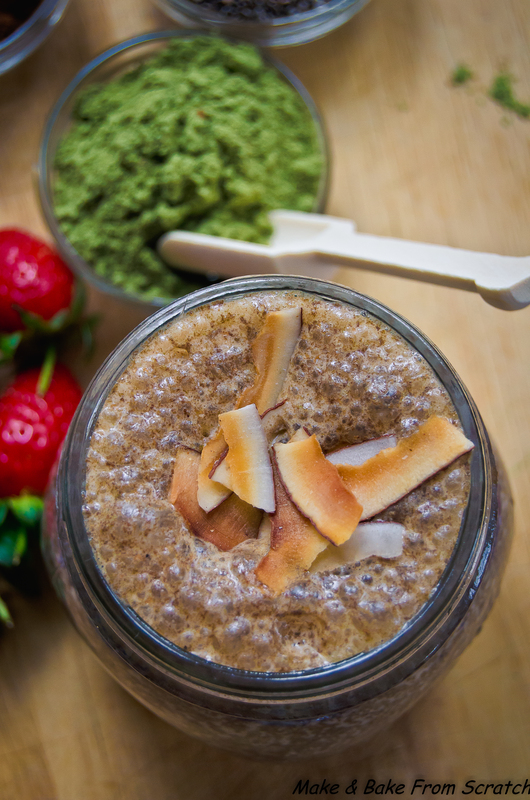 This smoothie is jam packed with vitamins, minerals and nutrients. I added “Super Smoothie Mix by Good Life Organic”; it contains hemp seed powder, wheatgrass powder and rosehip shell powder. It is 100% organic, vegan and contains no genetically modified organisms (GMO’s). How could you resist? This is great as a mid-morning or late afternoon snack. 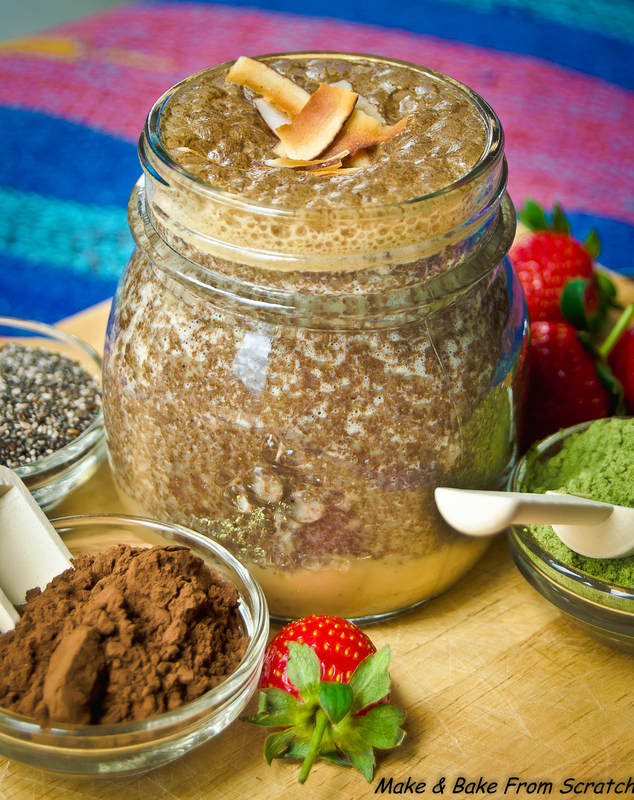 Hemp powder is plant-based protein. It contains essential fatty acids (EFA’s) omega 3 and omega 6. It is an abundant source of the eight amino acids essential for a healthy body. Hemp powder is gluten-free, high in fibre and contains calcium, magnesium, phosphorus potassium, copper, boron, iron, zinc, manganese and chlorophyll. Wheatgrass is a superfood bursting with vitamins, minerals, antioxidants, enzymes, proteins and amino acids. It is a powerful detoxifier, liver and blood protector. Rosehip contains vitamin C, vitamin E, beta-carotene and lycopene. In addition to the “Super Smoothie Mix”, I added almond milk to give it a creamy texture and boost the calcium content. 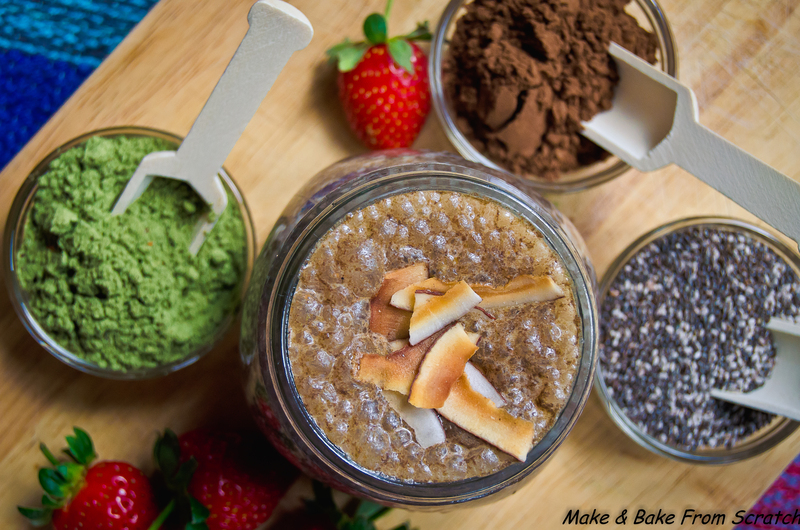 Carob is used as a chocolate alternative which adds a fantastic flavour to the smoothie. I use stevia to sweeten it up. Stevia is a natural alternative to sugar. Strawberries are nutrient rich and packed with antioxidants like vitamin C. Chia seeds add protein and these little gems help boost your digestive health. Pop all ingredients in the blender. Blitz until combined. Add ice cubes and top roasted coconut flakes. Previous Oh for Gods Hake, I really Moustache!